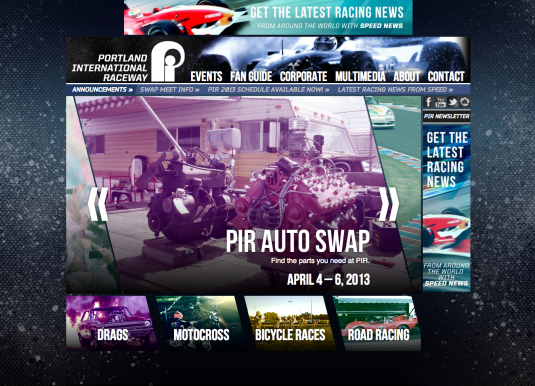 Portland International Raceway gets a new website! Magneto is proud to unveil the new Portland International Raceway website! We worked with our client to completely redesign and engineer the new site. 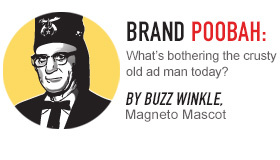 It is now much easier to navigate and (we think) much more attractive and interesting to view. The recently launched website solves many issues that beset its predecessor by easily formatting and organizing information in a way that not only makes sense, but compels visitors to explore and return to. The old website had been added onto over time much like the Winchester Mystery House in San Jose, California. It was amassed with clutter and was a struggle to find information. The updated site is much more vibrant, inviting and easier to navigate. It contains a lot of great information about the racetrack and the many activities that are held there throughout the year. Magneto also created an easy to use content management system that enables our client to update text and photos at the click of a mouse. All the more reason for race enthusiasts to check out the website on a regular basis for the latest and greatest news and information about PIR. We hope you will check out the new PIR website for yourself soon and let us know what you think. We also developed several outlets and new materials to give the racetrack an additional boost. We created a trade show back drop and discovered 2 beneficial tradeshows in the northwest for PIR to attend for exposure and also organized an event targeted specifically to meeting planners in the area to go and check out the track during one of their weekly summer Cruise-In’s. We also created new promotional brochures and business cards for the racetrack.